With some million historical finds reported each year, Britain’s 30,000 metal detector enthusiasts are playing an increasingly responsible part in uncovering and mapping the story of our past which lies beneath the landscape. 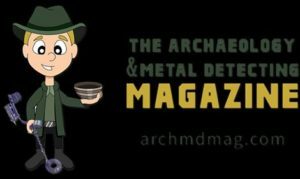 Photographing detector finds is a new book written specially to help metal detector users record their archaeological finds as clear digital images that can be stored for future study and shared with friends and fellow enthusiasts. The book outlines the basic practical skills required to photograph your finds. It describes the equipment and techniques involved, and gives advice on how to achieve the best results for a wide variety of different objects. Author Ian R. Cartwright, a trained archaeological photographer, developed his passion for the past at sites across the Berkshire Downs and the Thames Valley. He became involved professionally in archaeological photography at Oxford University, where he also gained an Undergraduate Diploma in British Archaeology. Ian has now worked in archaeological photography for some fifteen years, and his experience includes recording sites in Britain and Europe with experts such as Professor Barry Cunliffe. He has also trained many Portable Antiquities Finds Liaison Officers in finds photography. Ian’s book is clear, user-friendly and well illustrated, with lots of professional tips on lighting, backgrounds and equipment. 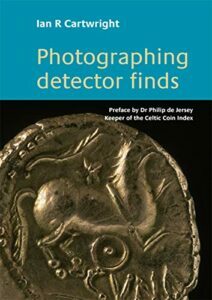 It offers specific advice on photographing metal objects such as coins frequently found by detectors, but also covers flints and pottery that may be discovered nearby. The author is keen to share his knowledge and enthusiasm. “In a world dominated by ‘point and shoot’ digital photography, it is easy to forget that successful finds photography still requires knowledge of method and technique,” he says. But he also emphasises that anybody can enjoy finds photography. “You don’t need lots of experience to start, just an interest and enthusiasm to record archaeological and historic artefacts,” he adds. “It is all about the excitement of discovering something new about our ancestors and how they lived”. Many thanks to Ian R. Cartwright for bringing his book to ours and our readers attention.